You are at: Blog » Business Models » In-depth Analysis: How does Discord Work? Discord is an application dedicated to all the gamers around the world. The main reason for the success of Discord is, it is free of cost and it provides hassle-free voice and text chat experience! It also helps gamers to have a voice chat while playing and also allows them to make communities and interact with their gaming friends outside of the game. That is why there were 2.2 billion active gamers found in the world who generated near about 108.9 billion in game revenues last year. Discord business model is the only game based business model that connects the gamers and has been successful by its unique idea though it provides free service to its users. Discord is a one in all application which includes text, voice and video chat. That is why it is widely used by many gamers around the world. It focuses on hassle-free voice, text and video chat experience during the game and also helps its users to build communities outside the game. Even though, Discord’s target market is gamers; the platform is used by many other interest groups ranging from music, art, entrepreneurship, spirituality, etc. When one uses Discord, he participates in themed servers which can be created by anyone logged in the application. And the same server can be joined by others who have the invite or participation link sent by any user of the application. While the server admin can host the text and voice channels which are used by the members to discuss different topics. Let’s see how does Discord work & makes money. 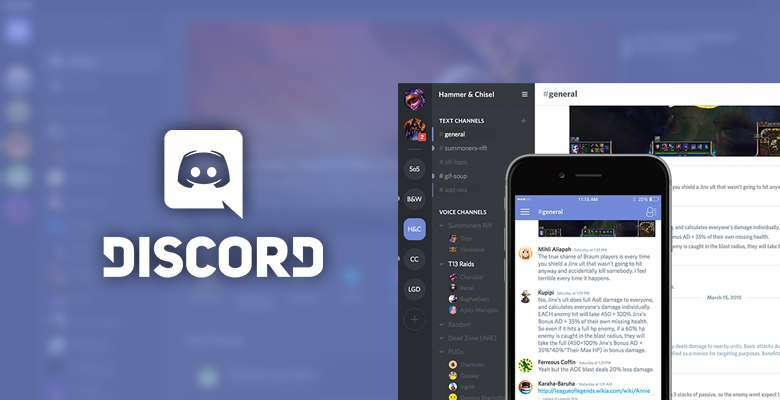 Jason Citron currently leads Discord as their founder and CEO. As of April 2018, the valuation of Discord according to a new round of funding is 1.65 billion USD. Well, that is why one needs to know the success story of Discord and How does Discord Work. Discord is an application for gamers and it is mainly used for chatting purpose among the gamers around the world. Discord let you set up a chat room it refers to as a server, to which you can invite people. When you invite someone to the server, they get a link that let them join it; where they can either text or chat with other people using that server. Discord works for Windows, macOS, Android, iOS, Linux and in all web browsers too. And Discord supports 27 different languages. Discord is especially useful if one is trying to play PC games. The app makes chatting very easy and offers search functions that can help to find other people and add them to a friend list to a quick communication. Many people use it not just for talking to each other while playing games, but as an organizational and social tool! While most of the servers are related to gaming, one can also find public Discord servers that focus on a variety of topics including things like anime, cryptocurrency, self-improvement and just making friends and hanging out. That versatility has led a large group of users to embrace discord as a place to meet and chat with people who have similar interest. Its partial communication app while partially a social media portal. It comes with many different features that are free! Yes, let’s take a look at how Discord works. Discord is available on pc and mobile both. One can use it like Whatsapp or Facebook messenger on your phone. And one can also customize the notifications for certain messages. Discoed is also accessible through a number of means, which makes it easy to use even if you are not sitting in front of a gaming PC. The app has a downloadable PC programme one can run on the PC-which is handy, lightweight version best for running in the background while one play games- as well as a web-based version and a mobile version. There are different bots on the Discord which are created by various developers. They are cool and fun as one can also chat with them. No matter what user type, it will reply him/her. Discord keeps the IP address of user’s PC safe. They provide an encrypted server for their client’s communication. Discord provides free VoIP( voice over internet protocol). which means one can use free voice chat with his/her gaming friends. And one can also use the microphone to keep his/her hands-free for gaming! Discord application takes minimal CPU usage and there’s almost low latency. That’s the reason one doesn’t want to uninstall it as it is way more convenient in comparison of other game applications. And Discord keeps user’s privacy. This means if the user has a Discord account and he/she doesn’t want to reveal his/her identity to others with whom he/she play or chat. Discord is such a fierce competitor to Skype and other VoIP tools that might end up doing exactly same as Discord. Actually, a small group of other artists is also using Discord to connect with like-minded individuals. So, these were the different features that been provided by Discord. This is How does Discord Work. In this world, people play million of games each year and they would like to make gaming friends and discuss the game with them. Well, Discord helps the gamers for the same thing. Discord has built a platform that lets gamers have a voice chat while playing and helps them make communities and make friends offline. All of these for free. Discord started ruling the market in short time after its launch in the year 2015. As of May 2018, there were 130 million unique users of Discord. The idea of Discord came from CEO Jason Citron. Discord is a business model example that can directly leapfrog with the rise in gaming. According to Polygon last year, Discord has more than 100 million registered users. This clearly shows that its user base is the main perk for them. And active gamers generated almost $150 billion in revenue. And this revenue shows only sales of games, gears and accessories. Now let’s take a look at How does Discord Make Money. As Discord provides free services to its customers without showing advertisement, one is surely curious to know that how it makes money. Discord is not selling its user data and it is also against advertisement. Discord was relying on its funding money till recently. Moreover, they are not planning to take money from users. But they are planning to get more money by providing better service and more featured application to paid users. For that, they created Discord Nitro, a different and better version of the application. Discord Nitro is similar to how Google makes money from Google’s suite (premium version of Gmail and other tools). Some features are free for an unlimited time while upgrades and add-ons are chargeable to the end user. Discord Nitro has a monthly plan of $4.99 subscription. By purchasing this, the player gets access to lots of stickers, animated avatars, boosted upload speed, etc. The company doesn’t charge anything for its core functions and only demands its users to support the application by buying the monthly subscription plan. By knowing this, you can get the idea of how Discord works. Through selling cosmetic items like sticker packs, sound packs and even skins. They provide this for better user experience. These custom-made products that user can buy such as shirts, stickers and emoticons, are sold widely across the world and earn quite a noticeable amount for Discord. According to WSJ, Discord has been valued at $1.65 billion USD as of present year. (2018) the most of the funding which Discord has, mainly will go for international growth and to the Nitro feature. When a small portion of the funding goes towards rewarding some of the earliest employees. Discord’s developers feel that advertisement are intrusive and selling user data equals breaching the relationship between two parties; so, they have strictly restricted using such revenue earning strategy. Lead investors including Index Funds and Greylock ventures have put in a total of $130 million across 5 investment rounds including one seed round. You may also like Ultimate Guide: How Does DoorDash Work? Discord’s revenue model is still a pursuing work. But company gains better network effect as it is operating among the gamers of the world. It is the huge advantage for the company. The company is having almost 2 billion users and still expanding and planning to rule over $1.7 billion worth of voice chat market. The application is entirely free to use and has no such plans to charge money for its core features in future. This is how Discord works. Let’s discuss your queries, your views about “How does Discord Work?” in the comment box given below. 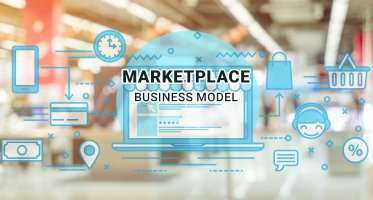 Here are some other informative business models articles articulated by NCrypted Websites – This will help you understand the various business models from the different segment.